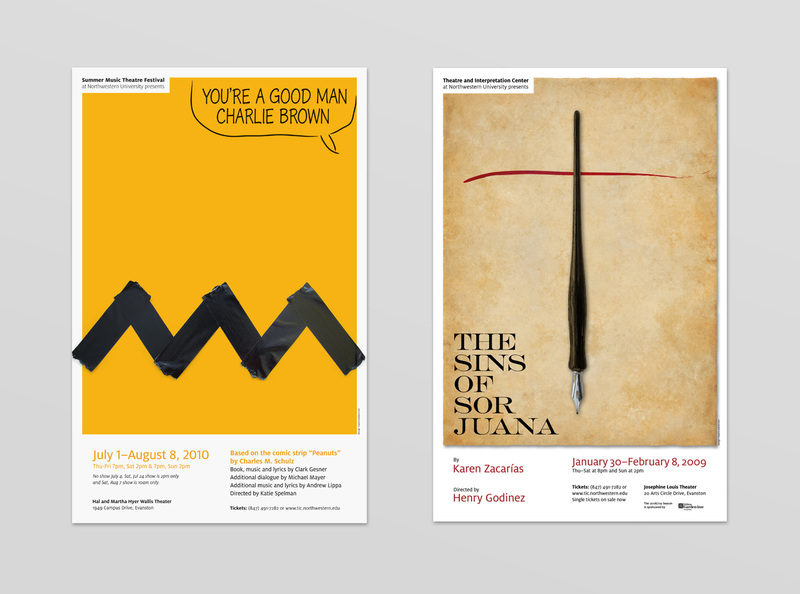 Here are a few of the posters from the new system Hazen designed for the school’s Theatre and Interpretation Center. 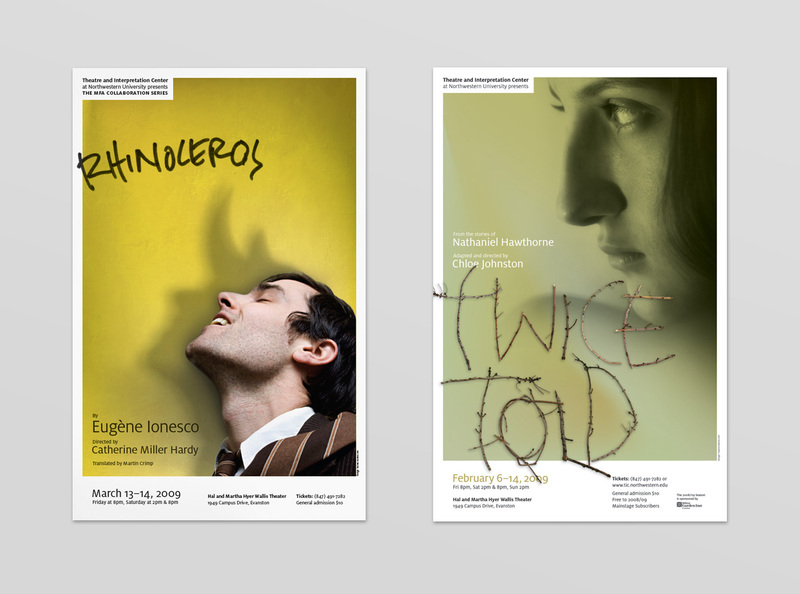 Hazen created this clean, simple system to strengthen the program’s brand and to make the posters more cohesive. The consistent white border has a “notch” for the Center’s name and is always violated by one element in the design. The title and main image can be anything, but the structure remains constant.